With the warm summer months right around the corner, just the thought of having to bake anything in your oven may have you perspiring profusely. But you don't want to give up dessert, especially not luscious, layered cakes, so what's a sweaty sweets-lover to do? Icebox cakes to the rescue! 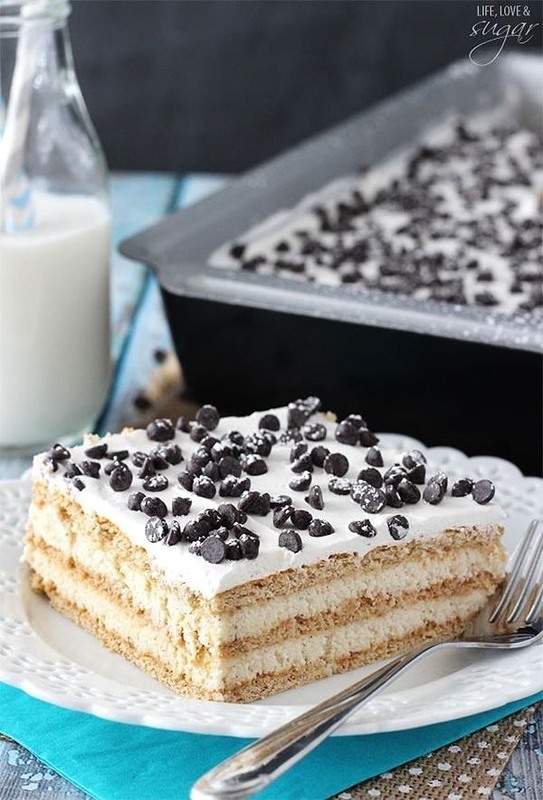 The icebox cake is a no-bake delight that requires absolutely no heat and very little effort—and recipes can be altered on the fly, as long as you have some tasty ingredients and your creativity on hand. 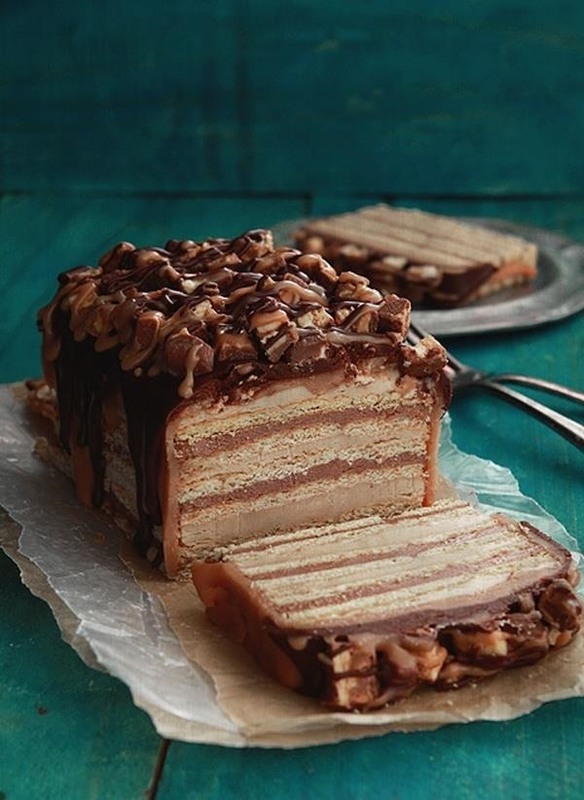 Here are 10 of our favorite cool cake creations to jumpstart your icebox imagination. This is one of the most beautiful icebox creations we've ever seen. Miranda from Cookie Dough and Oven Mitt combines peanut butter and caramel with Golden Oreos Thins in their gorgeous layer cake. We can't believe it only has seven ingredients yet is so perfectly golden and delicious-looking. For this cake, suggested by The Kitchn, all one must do is simply layer whole graham crackers with whipped cream and thinly sliced fruit. Again, no baking required! Once placed in the fridge, the crackers will soften to be tender and the ingredients will come together for the perfect marriage of creaminess and fruitiness. We say "I do"... want to devour this all in one sitting. 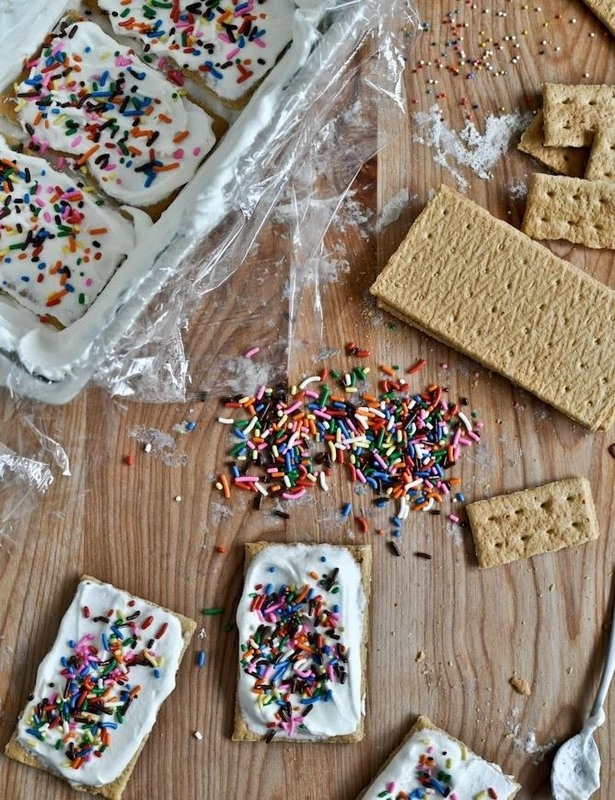 Jessica of How Sweet Eats takes her icebox cake-making seriously. She combines homemade cake batter pudding, whipped cream, and a billion sprinkles with her caky graham crackers to get this colorful, festive cake. Talk about the perfect treat to bring to a friend's summer birthday. Just add candles! Start with a creamy, no-bake Snickers cake stacked high with chocolate-peanut butter pudding and softened graham crackers. Combine this with a hefty pour of caramel and chocolate ganache sauces and Snickers, and Naomi from Bakers Royale may have just stolen our sweets-loving hearts. 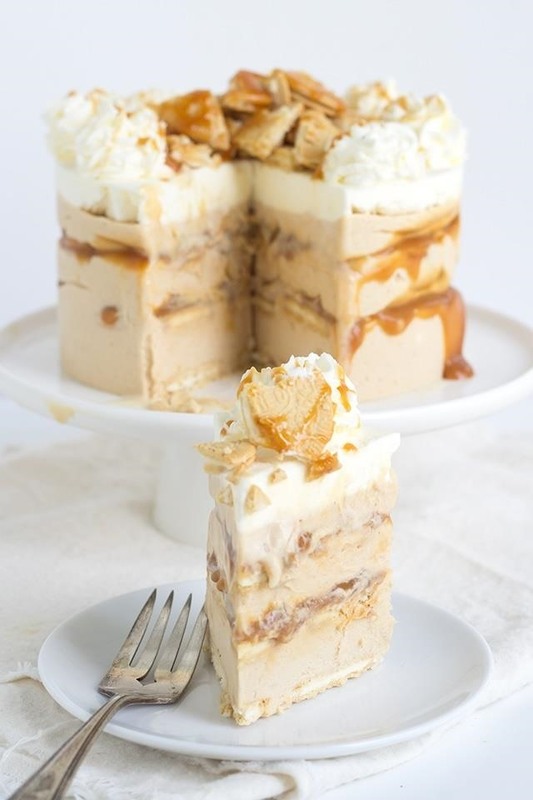 While we're on the topic of our favorite candy bars, let's talk about this mouth-watering Butterfinger icebox cake by Beyond Frosting. 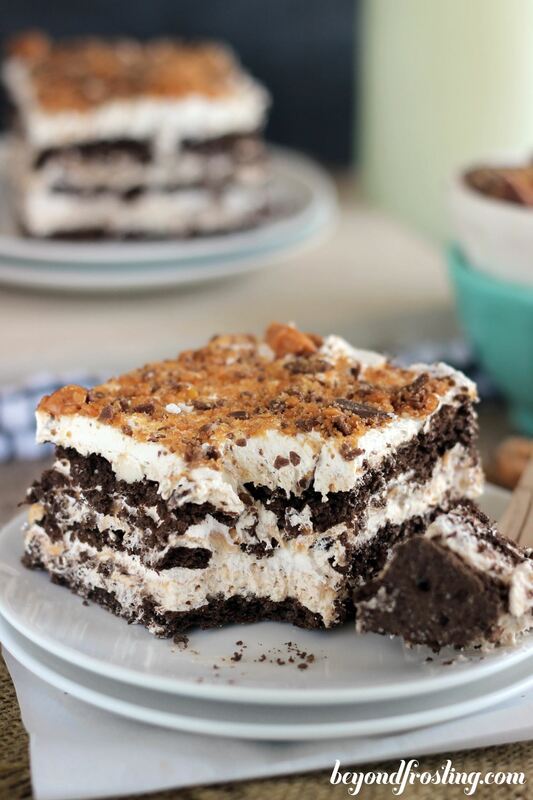 Julianne uses instant butterscotch pudding, cream cheese, caramel sauce, Cool Whip, chocolate graham crackers, and... wait for it... an entire bag of fun-size Butterfinger bars to make this unreal-looking dessert. Layers of graham cracker and a simple cannoli filling combine to make this fancy-but-so-easy dessert, perfect for a summer dinner party on the patio. Thanks to Life Love and Sugar, you can enjoy the rich tastes of cannoli without all of the work that goes into the traditional Italian pastry. Graham crackers, instant vanilla pudding, and Cool Whip—ingredients you probably already have at home—combine to make this eclair cake by The Kitchen is My Playground. It's easy and perfect for potlucks... but we think it's also perfect for just splitting between two people who don't mind sharing one fork. 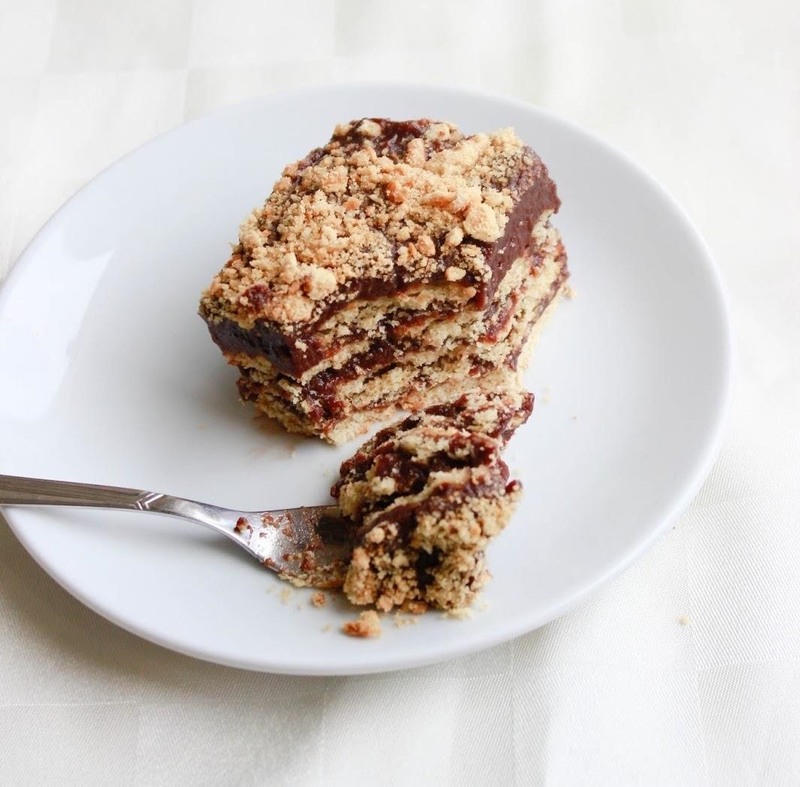 Nutella pudding icebox cake, I thought you might be just a dream but you do exist! Oat cookies, from-scratch pudding, and everyone's favorite chocolate-hazelnut spread combine to create layer upon layer of heavenly dessert. The best part about this already decadent and amazing treat? Surfing the World Cuisine uses one of our favorite baking additions, brandy, to add yet another layer of flavor to the cake. Creamy Cool Whip, sweet pink lemonade, and crushed Golden Oreos. Nothing on Earth sounds more delightful than that on a sweltering summer day. 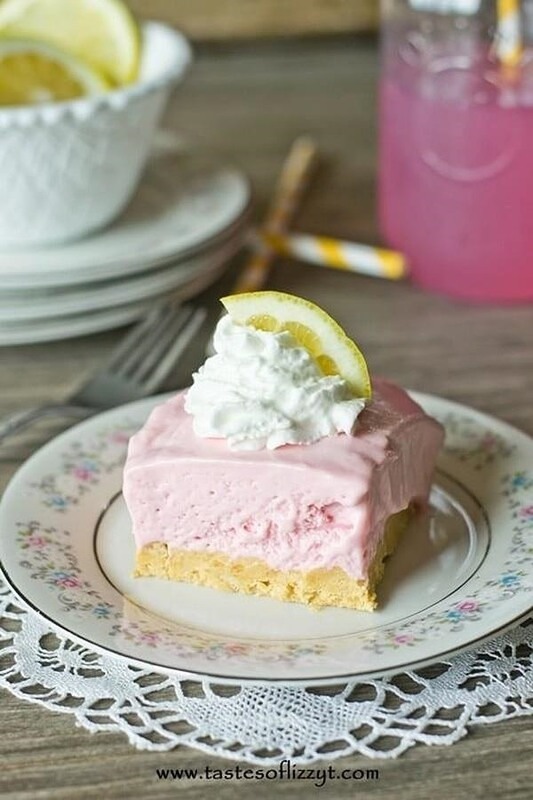 These bars by Tastes of Lizzy T combine butter, cream cheese, condensed milk, pink lemonade concentrate, and Cool Whip atop those golden pieces of Oreo to give you an easy, refreshing treat. Who says you can't have (icebox) cake for breakfast? Not us... especially not when it's made with strong espresso and European dipping cookies that can help get you going in the morning. 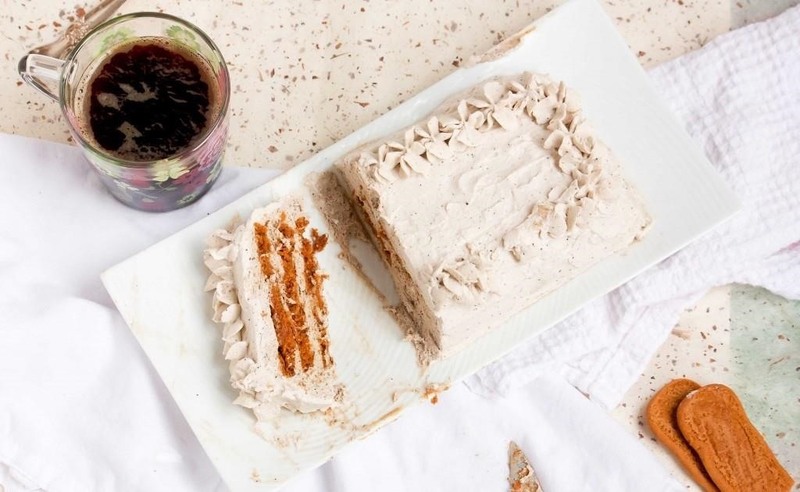 This Biscoff espresso icebox cake by Oven Adventures is sure to satisfy that early-morning hankering for dessert you may have been fighting. Don't fight—surrender to the lure of the a.m. icebox cake. 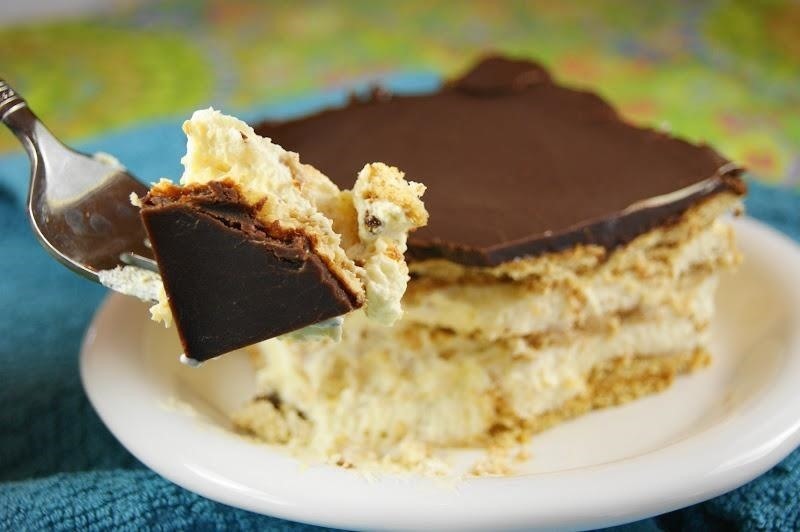 Icebox cakes are easy, tasty, and the perfectly cool no-bake treat to end (or begin) a warm summer day. No fuss, very little muss, and just enough patience to make sure they've set is all you need to make all 10 of these delectable desserts. 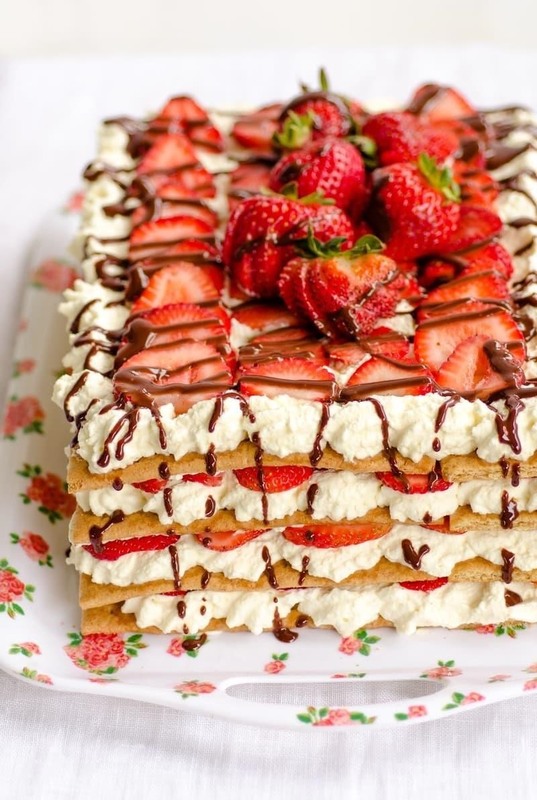 Have any favorite icebox cakes or other no-bake desserts you'd care to share? Let us know in the comments below. Make Disneyland's Famous Dole Whip—Only 2 Ingredients!